Company authorities - WASKO S.A.
Jarosław Zagórowski, aged 47, is a graduate of Silesian University of Technology in Gliwice which he completed at the faculties of Mechanical Technology in the field of “Machines construction and mechanics” being granted the degree of Ma in 1994 and Organization and Management in the field of “Marketing and management” (2001). In 2004, he completed his postgraduate education at the Mining Faculty of AGH University of Science and Technology in Krakow. Since 2016 Jarosław Zagórowski has been the President of the Board of Management of Huta Bankowa Sp. z o.o. in Dąbrowa Górnicza. 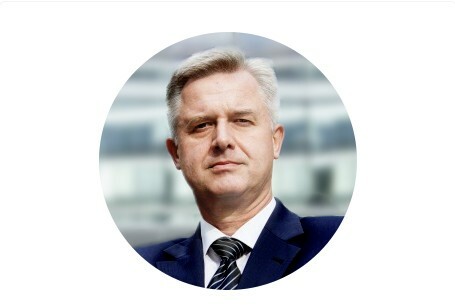 In the years 2007–2015 he was the President of the Board of Management in Jastrzębska Spółka Węglowa S.A., where together with the Board of Management he created and realized the strategy of action of the whole JSW Group as the biggest manufacturer of coking coal and coke in the European Union and where he supervised all the activities of the Company. Jarosław Zagórowski started his professional career in the government administration dealing with the issues connected with mining, power industry, gas industry, liquid fuels and metallurgy. He realized the tasks connected with initiation and realization of the state industrial policy in metallurgy, coking industry, mining of power and non-power minerals, and also with the state power policy, international cooperation and foreign trade. In the years 1996–2007 he worked in the Ministry of Economy where, among others, he was the Minister’s Advisor and the Deputy Director of the Industry Restructuring Department (in the years 2002–2003), where he was responsible for the hard coal mining and non-power minerals sector and also, he was the Advisor in the Ministry of Economic Cooperation with Foreign Countries (in the years 1995–1996). Jarosław Zagórowski has also performed many functions in the supervisory boards of capital companies, especially as the Vice-President of the Supervisory Board in TAURON Polska Energia S.A. (2015), the President of the Supervisory Board in the Coking Plant “Przyjaźń” S.A. and then JSW Koks SA. (2008–2015), the Member of the Supervisory Board in Jastrzębska Spółka Węglowa S.A. (2003–2006), the President of the Supervisory Board in Jastrzębska Spółka Węglowa S.A. (2006–2007), the President of the Supervisory Board in Zakłady Remontów Mechanicznych Sp. z o.o. (2004–2007) and the Member of the Supervisory Board, and later on the Vice-President of the Supervisory Board in Zakłady Mechaniczne in Tarnowo Sp. z o.o. (1999–2003). In his 20-year business activity he was honoured with many prestigious state awards and distinctions which include, among others the Cross of Merit (Polish: Złoty Krzyż Zasługi), the Golden Badge of Merit for the Development of Silesian Province (Polish: Złota Odznaka Honorowa za Zasługi dla Województwa Śląskiego), the Badge of Merit “Merited for Polish mining’ (Polish: Odznaka Honorowa ‘Zasłużony dla Górnictwa RP’), the title of the ”One who changes Polish industry” (Polish: Ten, który zmienia polski przemysł), the Personality of the year 2011, the Manager Award. Since June 27th, 2017 he has been performing the function of the President of the Board of Management and General Director of WASKO S.A.
Jarosław Zagórowski does not have any shares of WASKO S.A., nor he participates in a competitive company as a partner of a civil company, partnership or a member of the authority of the capital company nor he participates in any other competitive legal person as the member of its authorities nor he is listed in the Register of Insolvent Debtors run based on the act of the National Court Register. Michał Mental, 43 years old, is a graduate of Silesian University of Technology, which he finished at the Faculty of Electronics obtaining in 1998 the title of Master of Telecom Entineering. He has been connected with WASKO Group since 2000 where he started his work as computer systems analyst, in 2002 he became the Deputy Director of ICT Department. In 2005 Mr Mental became the Deputy Director of Integration and Implementation Department and Transport Sector Director followed by the position of Telematics Department Director. 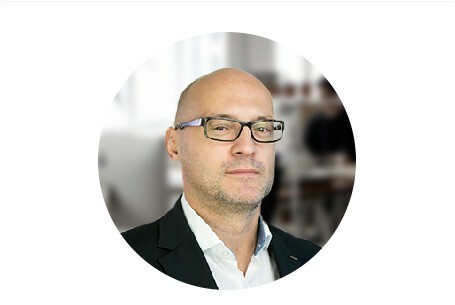 Mr Michał Mental has many years of experience in supervision and execution of IT projects in the field of automation, road telematics and traffic engineering as well as low voltage systems projects. He participated in many trainings and obtained a lot of certificates, among others Cisco Certified Network Associate, Sales Expert Small to Medium Business Solutions, PRINCE 2 Foundation Examination and Practitioner. Since 15 September 2016 he has held the position of a Member of the Management Board and Telematics Department Director. He holds 1042 shares of WASKO S.A. Mr Michał Mental does not participate in a company competitive towards the Company as a partner of a civil partnership, personal partnership or as a member of a body of a capital company or she does not participate in a different legal person as a member of its bodies. She is not entered in the register of Insolvent Debtors conducted by virtue of the Act on National Court Register. Włodzimierz Sosnowski, aged 42, is a graduate of the Institute of Electronics (Division of Telecommunications) of the Faculty of Automatic Control, Electronics and Computer Science at the Silesian University of Technology in Gliwice, receiving a title of Master of Electronics in 1999. Since 1999, he has been associated with the WASKO Capital Group, where he started working as a computer system analyst. In 2005, he became the Deputy Director of the Sales Department, and in 2007 – the Warsaw Branch Director. 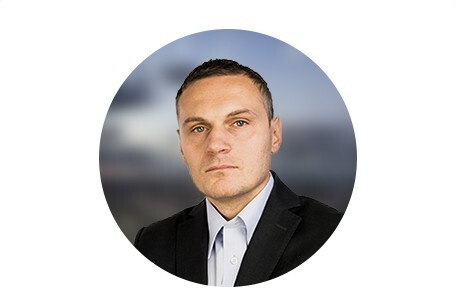 Włodzimierz Sosnowski has extensive professional experience in building and managing sales teams, creating and implementing sales strategies, acquiring new customers and selling services and solutions to customers in the public, telecommunications, industry and transport sectors. He has been responsible for winning the largest contracts executed by WASKO S.A. Since 23 January 2018, he has held a position of a Member of the Management Board and the Warsaw Branch Director. Włodzimierz Sosnowski does not hold shares in WASKO S.A. He is not engaged in any activities competitive to the Company as a partner in a civil law partnership or any other partnership, or as a member of a body of a capital company; neither does he participate in a different legal entity as a member of its bodies. He is not entered in the Register of Insolvent Debtors conducted by virtue of the Act on National Court Register. Łukasz Mietła, 38 years old, is a graduate of the University of Economics in Katowice, where he obtained the title of Master of Economics in 2003 at the Faculty of Economics in the field of Finance and Banking. 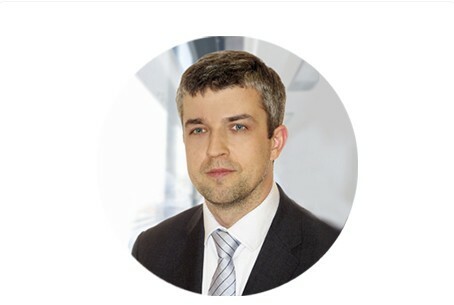 Mr Łukasz Mietła has been connected with WASKO Group since 2007, during the first years of employment he supervised the Accounting Section and since 2014 he has held the position of Finance Director. In the years 2004 – 2007 he obtained professional experience in financial audit departments of such entities as BDO Polska Sp. z o.o., Roedl Audit Sp. z o.o. and Europejskie Centrum Audytu Sp. z o.o. In 2009 he obtained the license of a chartered accountant and he was entered on the list of chartered accountants run by National Chamber of Chartered Accountants under the number 11636. In the years 2013-2015 he held the position of the Chairman of the Supervisory Board of COIG Software S.A. – a company being a part of WASKO Group. Since 15 September 2016 Mr Mietła has held the position of a Member of the Management Board and Finance Director. Mr Łukasz Mietła does not hold shares of WASKO S.A., does not participate in a company competitive towards the Company as a partner of a civil partnership, personal partnership or as a member of a body of a capital company or she does not participate in a different legal person as a member of its bodies. She is not entered in the register of Insolvent Debtors conducted by virtue of the Act on National Court Register. Rafał Stefanowski, aged 41, is a graduate of the Department of Computer Engineering of the Faculty of Electronics at Wrocław University of Science and Technology, receiving a title of Master of Science in 2000. In 2000-2006 he held the post of Deputy President of the Management Board of HOGA.PL S.A., where he was employed as the Deputy Managing Director, IT Department Director and Systems and Services Director. Since 2006, he has been associated with the WASKO Capital Group, where he has worked as the Project Director. Since 2008 he has successively held positions of the Administration Sector Director, Sales Department Director, Gliwice Branch Director and Foreign Trade Department Director. At the same time, in 2013-2018, he worked at COIG S.A., where he held a position of the Deputy Sales Director. Since 23 January 2018, he has held a position of a Member of the Management Board of WASKO S.A. and the Commercial Director. Rafał Stefanowski does not hold shares in WASKO S.A. He is not engaged in any activities competitive to the Company as a partner in a civil law partnership or any other partnership, or as a member of a body of a capital company; neither does he participate in a different legal entity as a member of its bodies. He is not entered in the Register of Insolvent Debtors conducted by virtue of the Act on National Court Register. Tomasz Macalik, 41 years old, is a lawyer – solicitor, a graduate of the University of Silesia, where he studied at the Faculty of Law and Administration. 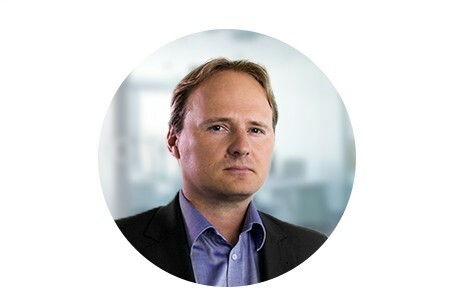 He has been connected with WASKO Group since 2002 where he worked as the Manager and since 2005 Director of Legal Department. In 2013 he was appointed a Member of the Management Board of WASKO S.A. and then Deputy Chairman. He is the Chairman of the Supervisory Board of COIG SA – a subsidiary being a part of WASKO Group, he also holds a position in the Supervisory Board of NOVUM S.A., he used to be a Member of the Supervisory Board of ISA Sp. z o.o. i.e. a subsidiary of COIG S.A. Mr Tomasz Macalik has many years of experience in supervision and legal counseling as to services in IT sector as well as negotiating and conducting infrastructural projects, especially in investment financed by the European Union. He specialilses in transactions of mergers, takeovers and restructuring. 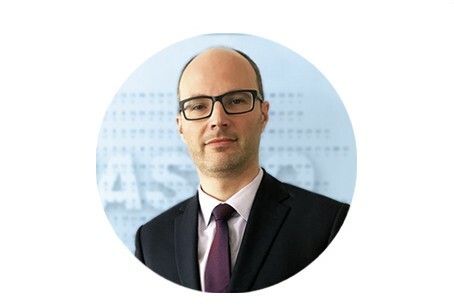 Since 15 September 2016 he has held the position of a Member of the Management Board and Legal Office Director at WASKO S.A. Mr Tomasz Macalik does not hold shares of WASKO S.A., he does not participate in a company competitive towards the Company as a partner of a civil partnership, personal partnership or as a member of a body of a capital company or she does not participate in a different legal person as a member of its bodies. She is not entered in the register of Insolvent Debtors conducted by virtue of the Act on National Court Register.